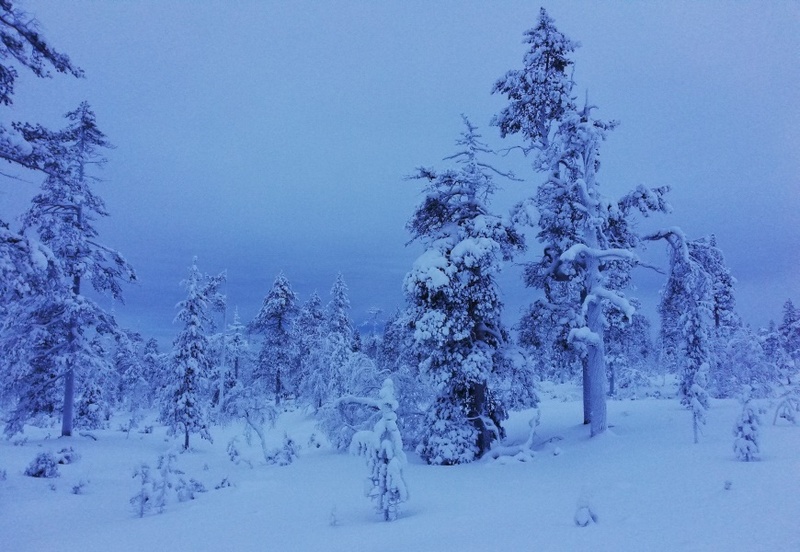 Tiina visited Lapland - see the magnificent photos of polar night! 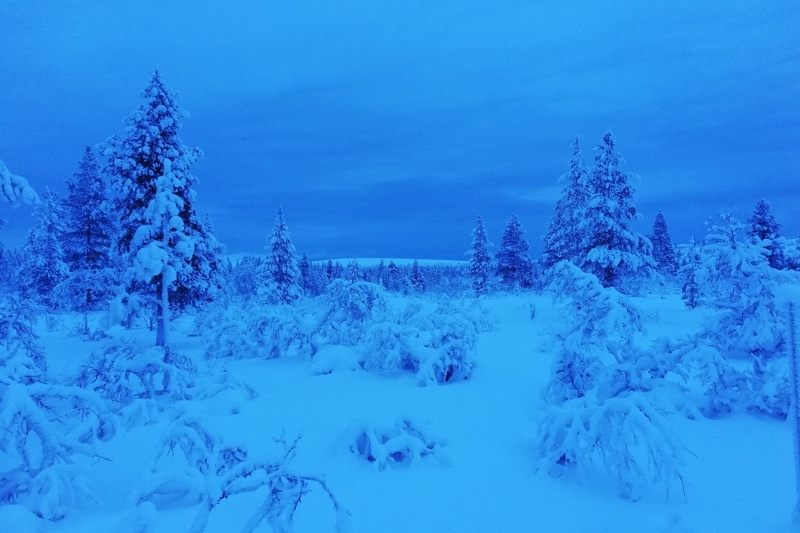 We are happy to post some greetings from our active follower, Tiina Vesterinen, who visited Lapland at the turn of the year, when Lapland showed its magic at the polar night. Tiina enjoyed nature experiences in Ivalo, which is part of Inari municipality, where several fantastic attractions are located; for example the Saariselkä Ski Center and the Urho Kekkonen national park, where there are, besides the spectacular conditions for hiking, also the Kiilopää fell. 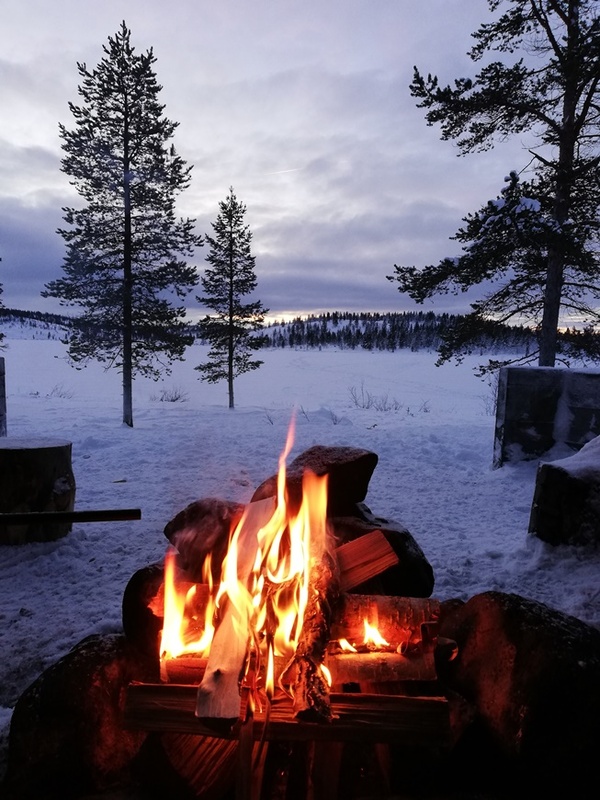 You can do many activities in the nature of Finnish Lapland, such as hiking, walking, cross-country and slalom skiing, snowboarding, snowshoeing, mountain biking - not forget husky safaries, sauna and ice swimming, and last but not least: admiring polar night and aurora borealis in the sky! 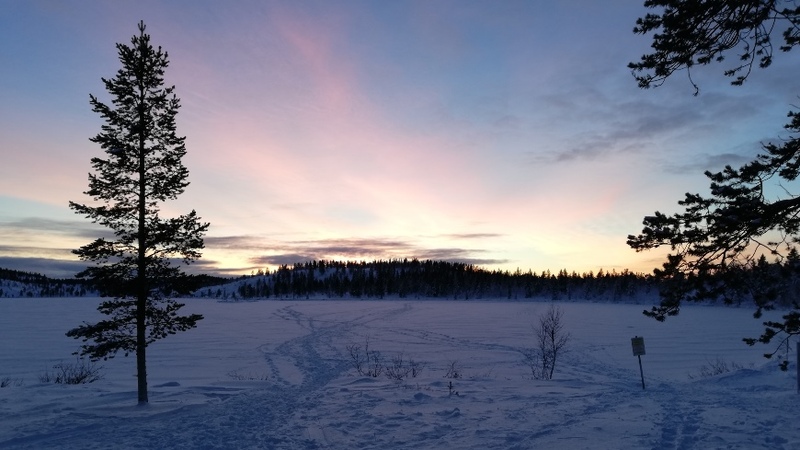 Tiina has taken lovely photos for us, showing the polar night at its most fantastic colours. 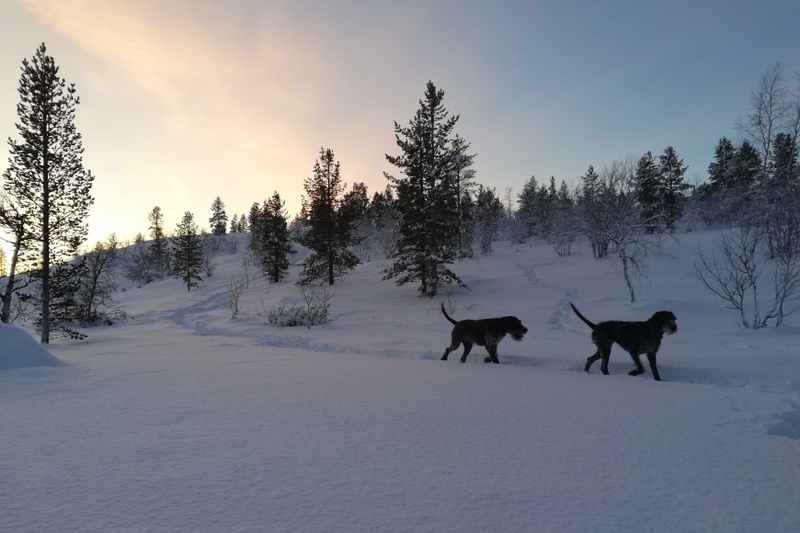 She took a hike with her friend and two dogs, heading to the Tuulispää lean-to, where they had a picnic by a fire. Afterwards, they took a walk on the frozen lake Tuulisjärvi. The weather was nice and the views magnificent! The darkness comes early at the polar night, and they had to leave the lake already at 13:30 pm, when it got dark. 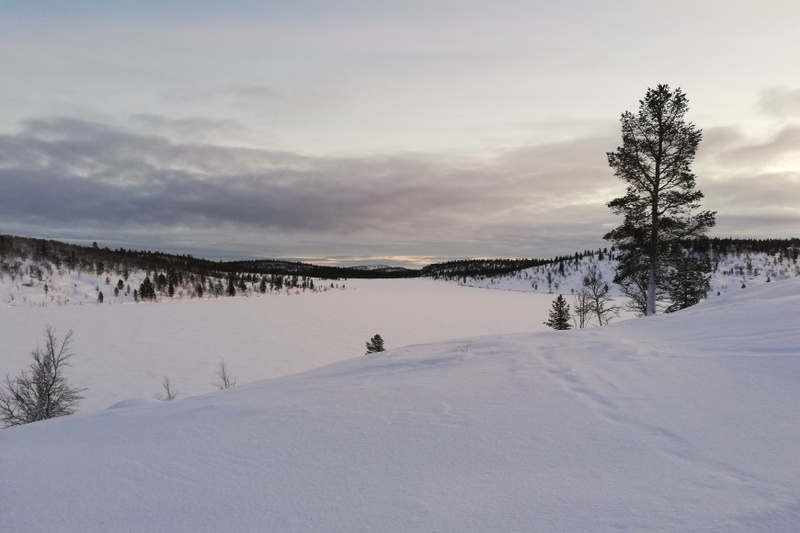 While her stay in Lapland, Tiina also went cross-country skiing at the Kiilopää fell. Watching her photos, we can try to feel the magic she felt there, where the fifty shades of grey –and blue- aren’t enough! 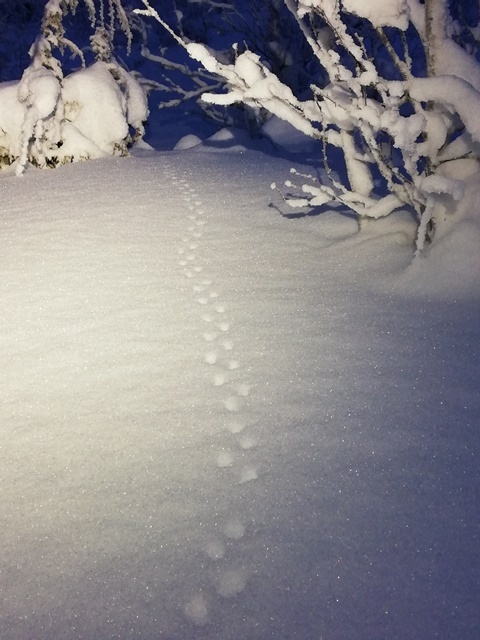 If you decide to follow Tiina’s steps and visit Lapland, please visit also our Star Destinations - Those we have tested and can warmly recommend!